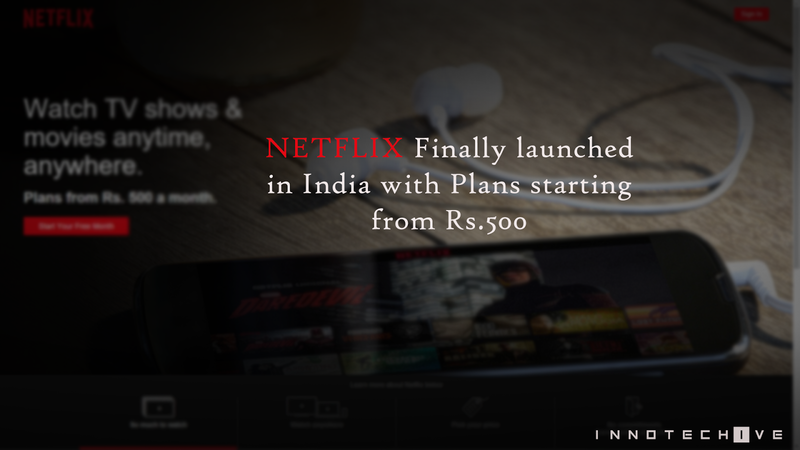 Netflix , the famous video streaming service is finally launched in India . It was launched (extended to) 131 countries including India and others , spread across Asia, Middle East and Europe. One of the few questions that arises when hearing this news are the plans for this service . 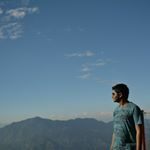 Well, its good to know that the plan starts from Rs.500 , and the highest plan being at Rs.800 per month , and on comparing with ones in US , its almost same , and are quite reasonable. Facts: Netflix is available across 70 mn homes worldwide. It can be figured out that now the number of users+hrs watched will increase as major markets are being targeted , but China is the only major country which has been left out from the list , till now. And according to Netflix CEO Reed Hastings, they're planning to enter China soon . Moving over to plans , there are three plans available namely - Basic, Standard and Premium ( Details in the Image) . 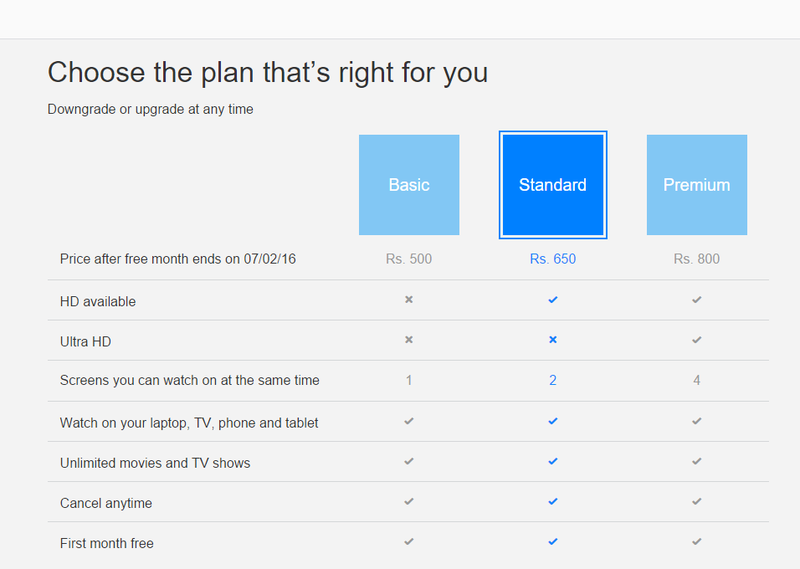 As you can see in the image , it can be seen that the Standard Plan sounds good , and that's what we'll recommend you , the one at Rs.650 per month , as supports HD as well as you can watch on 2 screens Simultaneously . Along with this , we're getting First Month free too , something good for new customers , especially in India to try the service first . Netflix is almost an addiction , consisting a huge pile of movies and TV shows , which includes some its exclusive content i.e. produced by Netflix itself , under the name : Netflix Original Moniker. The exclusive ones include House of Cards, Daredevil , Jessica Jones etc. However , in India there are some competitors as well , like Hotstar,Eros Now etc. but we still think they dont stand a chance against Netflix , as its quite famous for its exclusive content now. Now whats the main thing required in India is to make the ISPs better , so as to provide better bandwidth , if its achieved then there'll be surely a rise of alternatives to regular TV service providers .